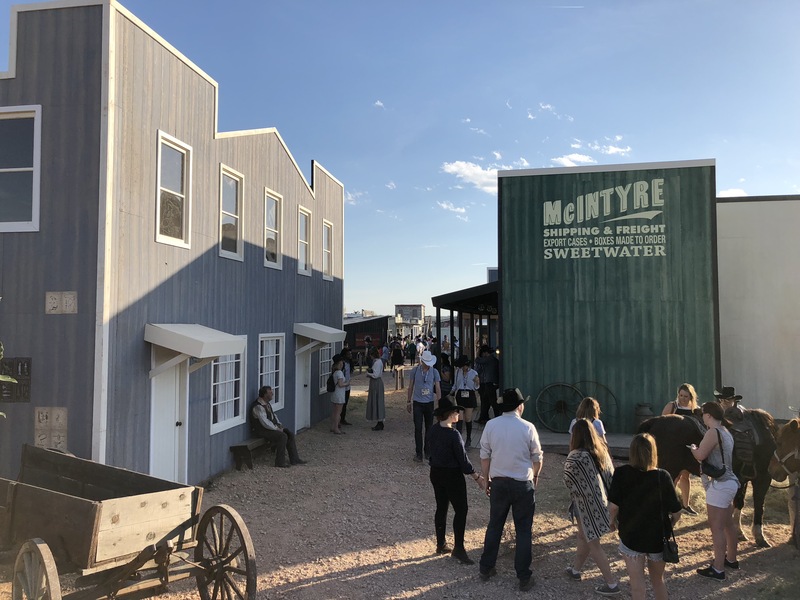 Westworld’s SXSW 2018 activation was one of the most talked about and highly sought after experiences in recent memory. Many elements made this the best experiential experience to hit SXSW in my many years of attending. Here are 10 reasons why the Westworld experience is one of the best-branded activations ever to hit SXSW. 1) Authenticity – The 2 acres dedicated to recreating Sweetwater was a sight to see. From the white doors of the Mesa Gold Station leading into Westworld to the carefully crafted buildings to the actors who never broke character. This level of authenticity and interaction was a key to why this execution more than any other I have been a part of was so compelling. 2) Exclusivity – The event was one of the toughest tickets at SXSW in 2018. Most of the times were reserved prior to the start of the conference. The options to score a spot were either the incredibly long standby lines or hitting the lottery with Lyft… more on that later… The amount of social traffic I saw by those who didn’t get into the experience almost rivaled those that were highlighting their time in Sweetwater. 3) Analog in a World of Digital – Walking onto the SXSW conference trade floor can be a jarring experience upon first entry. Your senses have to take a moment and adjust to the lights, the sea of VR headsets and every type of digital experience you can ask for. What made Westworld so compelling was the fact that it was the polar opposite. The only technology was what you carried into the park. No Tesla charging stations here! Having a completely analog experience that heightened your natural senses was different than tricking your mind with ever-evolving synthetic realities. 4) Personalization – From choosing the black or white hat to the letter you receive at the post office to the final note you receive via e-mail and mobile, the experience was tailored to include personal elements at every turn. I even sent an IRL postcard from the Sweetwater post office. 5) Immersive within immersive – In addition to the incredible sets and actors who memorized hundreds of pages of dialogue, it was the experience within the experience that really won the day. Whether it was trying to find additional clues, like a 3D Westworld maze map or a mysterious keyfob to unlocking a locked door with the season 2 premiere date as the code to a secret room in the already locked secret room. The level of detail spent creating an immersive experience within an immersive experience was Inception level “dream within a dream” scenarios. 6) Secluded – The fact that the experience was 20 miles outside of Austin and in a very secluded location added to the experience. As you get closer and further outside of the city you were not quite sure what to expect and caused anticipation to build. 7) Partnership – How I got into WestWorld was through their partnership with Lyft. While we tweeted at Westworld via social, they responded with a cryptic response about Lyft having the code. This promotional partnership with Lyft, who had 10 luxury vehicles that starting running special “winners” to the park between 2 and 10 pm, was a great way to drive usage for Lyft and rewarding those who looked for the code. 8) Socially Engaged – Our gateway into Westworld started with Twitter as I previously mentioned. The near-real-time engagement via the @WestworldHBO handle was very well done. Kudos to the Westworld social team as they nailed the tone and persona of the property that helped to cut through the noise of SXSW and focused our efforts towards engaging with the Westworld experience. 9) Limited Time Only – The activation only lasted a few days, which really amped up the conversation and desire to enter the experience. I had friends in Wilton, Connecticut asking if I was able to get into Westworld. Word of the activation spread well beyond the SXSW Interactive Austin crowd. 10) Post Event Follow-up – In addition to the personalized content during the experience, this morning I received a final communication welcoming me “back to reality” with a personalized letter that was optimized for sharing via social. The best aspect was my letter was different than my two co-workers.